I am happy that I started this challenge for myself. It feels great to have gotten that drive to do it, and having a blog to document my progress makes it even more exciting. I admit that I am not a saver, so being able to come up with ideas on how to save, and having the discipline to follow them is in itself already an achievement. My first month of trying to religiously follow my own rules has not been very easy, I admit to cheating a few times. Here’s a summary of how my first month of saving money went. 1. Not booking Grab or Uber when going to work. I’m just glad to have been able to make a jeepney ride for my commute to work a daily routine. Indeed, anything that you regularly do for 21 days straight can become a habit. Well, I’ve been taking a jeepney for almost two months now so my plan actually worked. I am saving not less than Php100 a day, and that’s great. On a side note, I am totally boycotting Uber until they fix their system. My bad experience with them happened when I started considering cheaper alternatives for my commute. Ironically, it was very timely because now, Uber is no longer an option. For my safety, I still book a ride from Grab when going home after work, often between 1 and 3 in the morning. 2. Less and less fast-food. Fast-food is my weakness. It was my main source of “nourishment” for the past 15 years or so, and that makes it very difficult to remove from my system. Needless to say, cutting down my fast-food intake from 2-3 times a day to 2-3 times a week was a great improvement. 3. I am now brewing my own coffee! I just bought a coffee maker, and ordered an Atok Arabica ground coffee with that. Moreover, the coffeemaker was purchased using a P1000 Sodexo gift certificate that I got from joining a blog contest in November. Wonderful! I am a supporter of local produce so I am going for the Arabica coffee from Benguet. I learned about it when I was in Sagada last November. Coincidentally, I saw some Instagram posts about the Beguet coffee, and the hard works that local farmers put into harvesting and processing the beans. That inspired me to patronize their product even more. 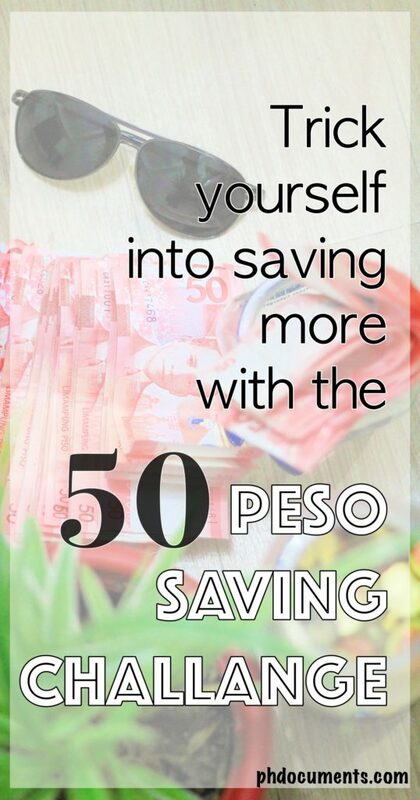 Now, along with these money saving habits, I just started saving my 50 peso bills again. Let’s see how much I would save at the end of the year. I’m also thinking about doing my groceries by bulk. I mean because I am your typical lazy guy, I don’t go from aisle to aisle inside the grocery. I buy what I need one at a time, and I don’t mind if that means a daily trip to the grocery store downstairs where I live. How are you saving on groceries? I realized, I might be able to save if I buy a one week worth of groceries at a time. This is also to make sure that I won’t end up ordering food online when I run out of food supplies. I work until 1 or 2 in the morning so other than the 7/11 in our building, my only option when I’m hungry are 24-hour fast-food deliveries! I would want to avoid that as much as I could. Lastly, I am taking advantage of the cold January weather and decided to unplug my AC. The electric fan is more than enough. This started in December and my electric bill went from approximately P1600 to P350! Awesome! What are the Advantages of a Prepaid Credit Card? Prepaid cards are good alternatives to credit cards. I use to work as a customer service representative, and we would sometimes advise a customer to use a prepaid credit card for payments, in lieu of a credit card. I didn’t really know what a prepaid credit card is back then as Philippine banks are not yet offering them. A few years later, I found myself lining up in BPI to apply for a prepaid credit card. It was useful and I had it for six years. I did not renew it this year because I got another one from UnionBank, plus a secured credit card from Security Bank. – If you are into online shopping, but do not want to use a credit card, a prepaid credit card could be of help. – Your credit limit is dependent on how much you want to “load” into the card so you have full control of your spending. 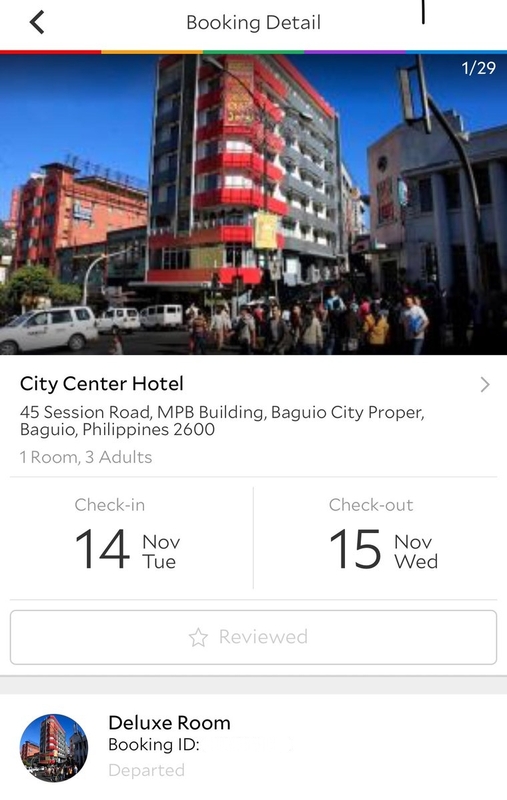 Say you want to book a hotel at Php2500, you may only reload that amount, process your booking, and you’re done. – No monthly bills. Since this is prepaid, you will not receive bills at the end of the month! – No maintaining balance required. And for some banks like UnionBank, your prepaid account can also function as a savings account. – Reloading is easy. Most banks allow you to reload via online transfer or thru an ATM. Are there any disadvantages? Personally, the annual fee which cannot be waived is quite a turn off. Other credit card perks, such as installments, are of course not possible with a prepaid card. Also, you cannot withdraw your money (or your load) via ATM. What are the differences of a prepaid credit card and a debit card? I could only think of one – unlike a prepaid credit card or regular credit card, you cannot use a debit card for online payments (not counting bills payment). Making online payments are unavoidable these days, and if you do not have a credit card or if you want to play it safe, prepaid cards are the way to go. I think most banks offer them now, but I noticed that only BPI and UnionBank are actively promoting their prepaid cards. 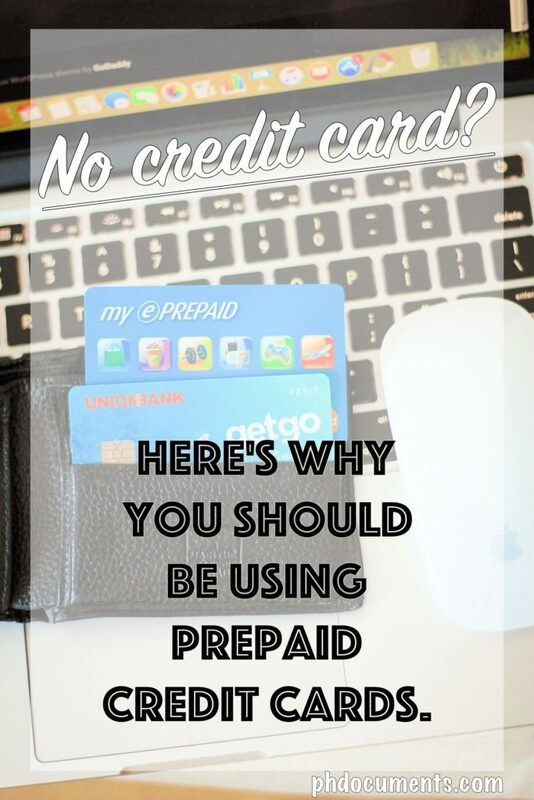 Are you a prepaid credit card user too? Celebration! Treat your co-workers, your friends and family. Before you know it, your first sweldo is gone! 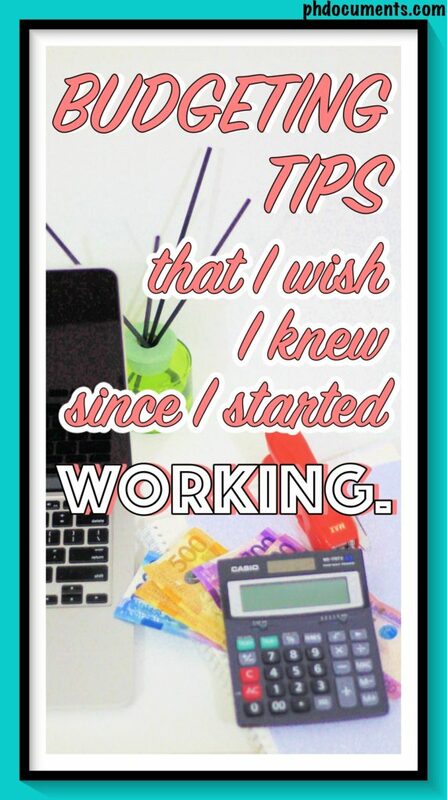 Get that item you’ve always wanted to buy, or anything that you’d like to remember your first sweldo years from now. Bills. Especially if you are renting, you’ll be sharing on rent, water and electric bills. This is how we normally budget our first salary. We do not really think about saving yet, and that may be alright. However, if this has been going on for a few months, it’s time to re-think about how we are budgeting our money. Months could turn to years, and that is when living from paycheck to paycheck happens – if you never put your plans of saving money in to practice. Ten years ago, I got my second job here in Manila and I still didn’t know how to save. My supervisor, who was just about 2-3 years older than me was traveling around South East Asia and I remember asking, how could she do that? She must be receiving a really high pay! Those were the days when seat sales or Peso fares are not a thing yet, so traveling was a lot more expensive. She actually sat me down and gave me a few tips about saving. She was the one who first told me about the right formula (literally) on how to save. 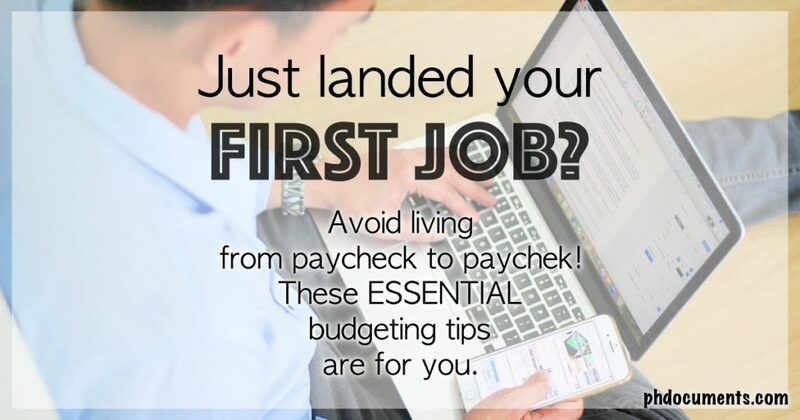 Here are some of the basics on how to budget your salary that even old timers like me need to know. Upon receiving your salary, put away a certain amount for your savings. The formula is always salary minus savings, and spend only what is left after savings. Stick to this rule! The earlier you put this to practice, the better. Make it a habit. Immediately save a certain amount as soon as you receive your pay, then forget about it. Whatever is left is the only money you have until the next payday. 2. How much should you save? Ideally, 20% of you income should go to your savings. If you have been working for a while and still having a hard time to save, go small. Maybe 10%? This is considered too low for many, but for the rest of us who are not savers, starting small does the trick. Again, you need to make saving money a habit, and if you’ve been used to spending all your money, starting big is not going to work. Chances are, you would go broke a week before payday and you would end up “stealing” from your savings account. 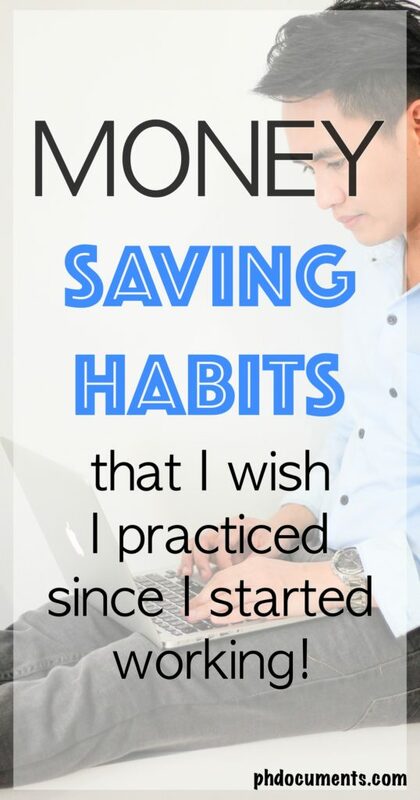 Try to start small until you can make saving a habit, then add more as you progress. 3. Now, do you feel that you are not earning enough to be able to save? A higher salary is not a guarantee either. When you earn more, you will tend to upgrade on everything. When I started working, I thought my salary is just enough for my budget on spending. There’s not enough left for saving, and that is because I was not following the formula. I thought I’d be able to save when I get a better-paying job. And so I thought. I spent five years in my second job, and experienced salary increases every year. But it never felt enough. Why? Because I kept on upgrading my lifestyle too. That’s how some of us have been conditioned to think. Let’s put an end to this mentality! If you are not renting, it means that the amount you are saving should not be less than 30% of your salary. Try 40%! Again, start early. Save while you are young. Always pay yourself first. A healthy bank account could mean a lot of things later on – being able to afford insurance and investments at an early age, bigger chances of getting approved of your home or auto loans, and even your credit card applications. Banks will be offering you stuff such as a reward cards and other promos. Above all, the sense of security knowing that you have money to use in case of emergency is priceless! I wish I’d known all these before I graduated. I wish there was a mandatory finance or budgeting classes to enroll in. Are they now teaching these in schools? I learned about the BDO rewards card from another blogger a few years ago and I got really interested. The problem is, I didn’t have a BDO account at that time. I used to have one but it was a payroll account and I left it to close when I resigned. Over a year later, I opened a new BDO account and totally forgot about the reward card. Which is why receiving a card in the mail after two years came as a surprise. I immediately enrolled it online so I could check my points at any time. What do you get from the BDO rewards card? It is exactly the same as your SM advantage card, plus more. All SM department stores and groceries, including participating stores, accept it. The only difference is you get to earn more points since your BDO online payments are counted! Even auto loans and home loans earn you points. 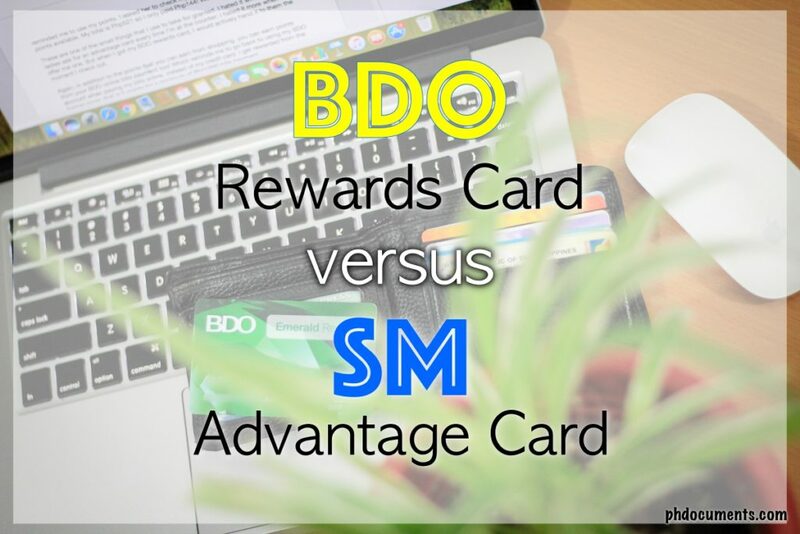 How could one qualify for a BDO rewards card? You should have an existing BDO bank account, of course. Your branch will send you the reward card for free when you reach a month-to-date average daily balance of Php50,000. I have been using my points several times in the past, mostly when buying medicine at Watson’s. Last Sunday, I stopped at a SaveMore branch after working out at a nearby gym. I only needed milk, a bag of brown rice, bread, and some canned goods which I estimated at around Php500 in total. I was so hesitant to use my credit card but I didn’t have enough cash. When the lady at the counter swiped my BDO rewards card, it reminded me to use my points. I asked her to check my balance and I did have 377 points available. My total is Php521 so I only paid Php144! Wonderful! These are one of the small things that I use to take for granted. I hated it when SM sales ladies ask for an advantage card every time I’m at the counter; I hated it more when they offer me one. But when I got my BDO rewards card, I would actively hand it to them the moment I check out. 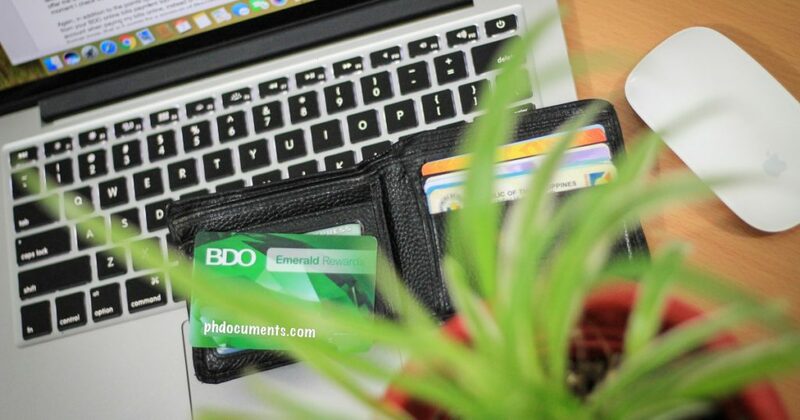 Again, in addition to the points that you can earn from shopping, you can earn points from your BDO online bills payment too! Which reminds me to go back to using my BDO account when paying my bills online, instead of my credit card. I get rewarded from the former more; that is 5 points for a minimum of Php1000 bills payment. Not bad! Are you also using BDO rewards card? 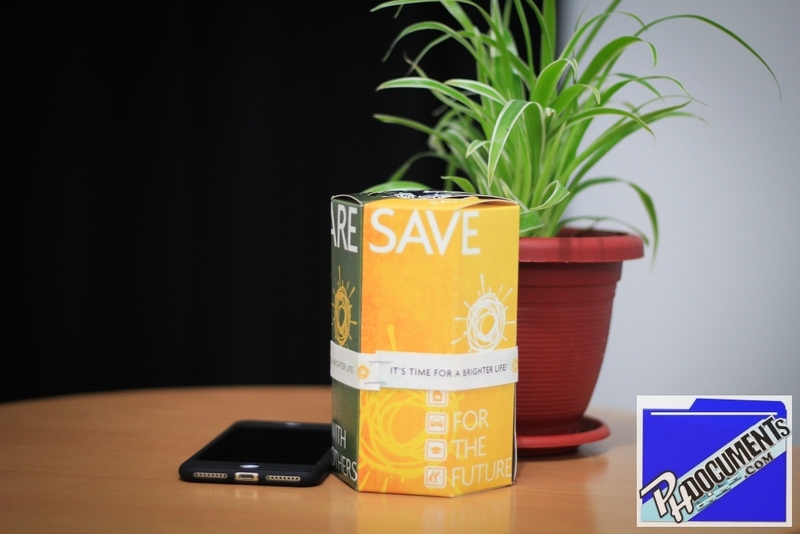 Have you Tried Saving your 50 Pesos? I’ve encountered several posts about this on Facebook. People are saving all 50 peso bills that they get as change. Sounds clever, so I thought I should also give it a try. I actually tried this last year but I ended up spending them on taxi fares, small purchases at a convenience store, and the like. 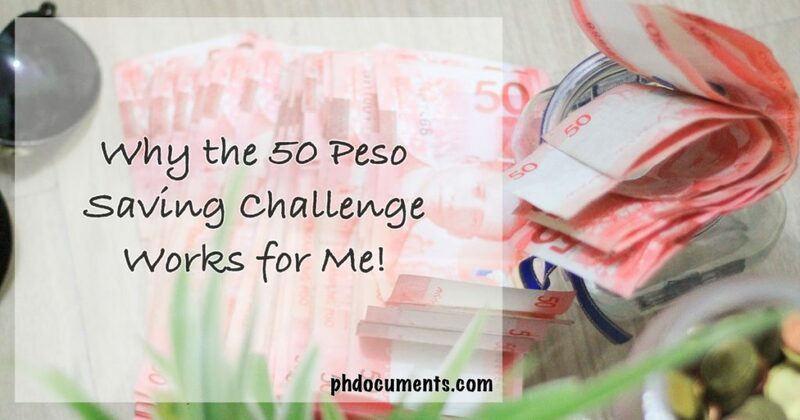 When I moved in to my place six months ago, I started this 50-peso saving challenge again. Save all 50 peso bills that land on your hand. So if you go to a store with 500 pesos, bought an item worth 100, and the sale clerk handed you eight 50 peso bills as change, you will have to save them all! Don’t ask the clerk to change them to 20’s or 100’s. No cheating! Personally, I would put them in a small jar and placed it on the table where I normally leave my keys. That gives me the signal to check my wallet for any 50 peso bill upon entering or before leaving the house. I planned to never count the bills until this month (December). How many 50 peso bills did I collect for six months? I counted exactly 45. Which means I got to save Php2,250. Not bad! I would say it was quite effective and I will surely continue doing this challenge again starting this January. 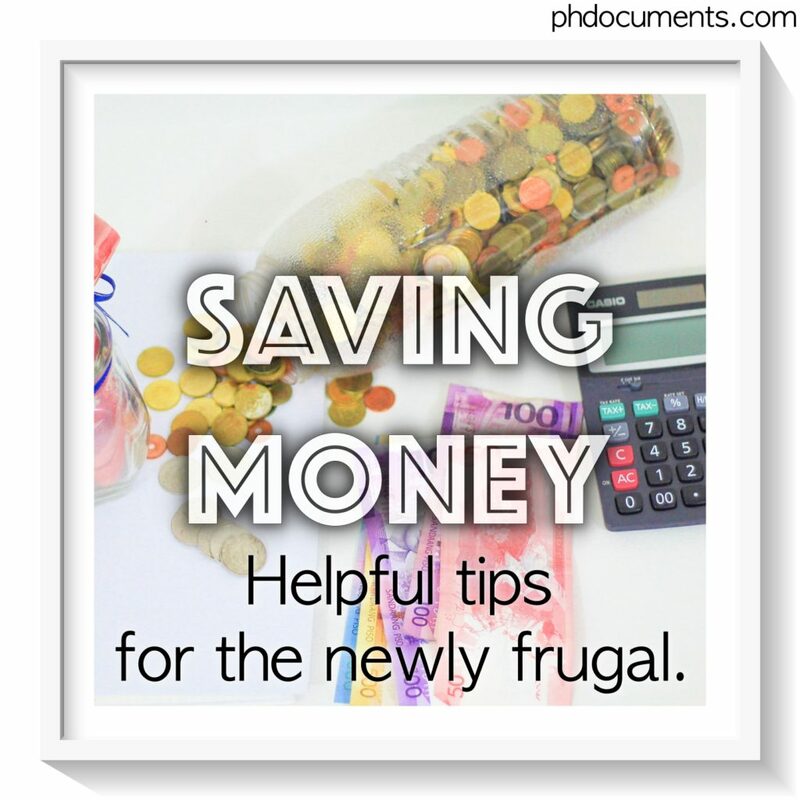 Any small money-saving tips you want to share? 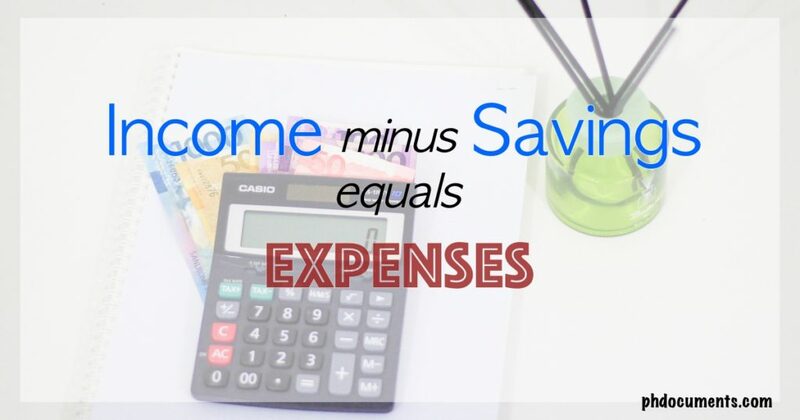 If small expenses are the ones we need to be very careful of because THEY ADD UP, small savings will also add up! 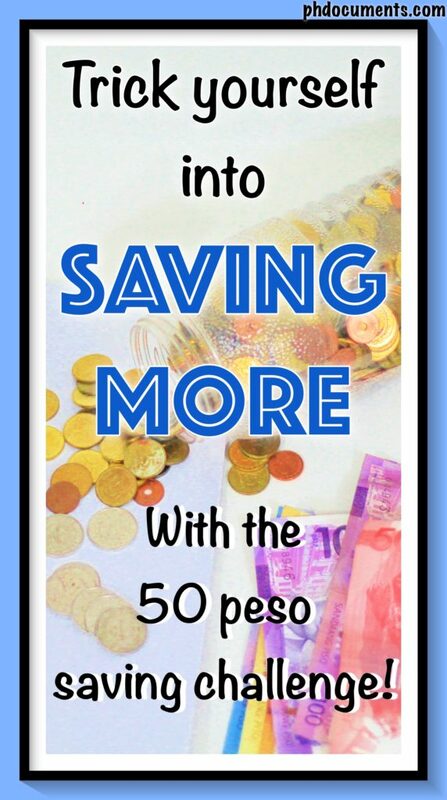 Just like small expenses (that add up), saving fifty peso bills is also easy in the pocket. The best part is, you won’t notice putting away small amount from your expenses, and actually adding more to your savings. I am aiming to save at least P10,000 worth of fifty peso bills by December. That should give me more than enough cash to put inside several tiny envelopes for my inaanaks. That means crossing out a huge amount from my Holiday budget list as early as now. Awesome! This update is quite late, but how was my third money-saving week? I would say it went pretty well. First, I took jeepney rides to work for the entire week! That’s a huge accomplishment. I am taking advantage of the good weather when it’s not as hot as Summer; I could still tolerate the heat. I doubt if I could do this in April and May, but who knows? Additionally, my Grab reward points will expire this December so I have been using them to get me 50pesos off on my rides going home. In total, I got to save over Php600 on transportation last week and that is awesome! Fast-food intake stays at once a day. We had a free meal at the office (as a prize for winning an office event) last Friday so that’s minus a hundred off my budget for food. Wonderful! Coffee, unfortunately remains a weakness, but at least it’s not Starbucks? I still go to McDonald’s or Country Style for my daily coffee cravings. Which reminds me, I think I should post about my love of Country Style next time. But first, tomorrow is 13th month pay day. Another challenge. Wish me luck! Last week, I talked about how I felt on my over spending during my travel. I learned my lessons and I’d be more careful next time. Planning ahead definitely helps because last-minute arrangements often leave you with limited, expensive options. However, if there’s one thing that I realized I was right about, that would be on my choices of accomodation. While I acknowledge that there may have been other ways to save on accomodation, I felt that I actually made a practical choice afterall. See, I had to meet my sister and her husband in Baguio the day before we took the five-hour trip to Sagada. Our scheduled departure is 5:00 AM so we needed a place to stay for a night. 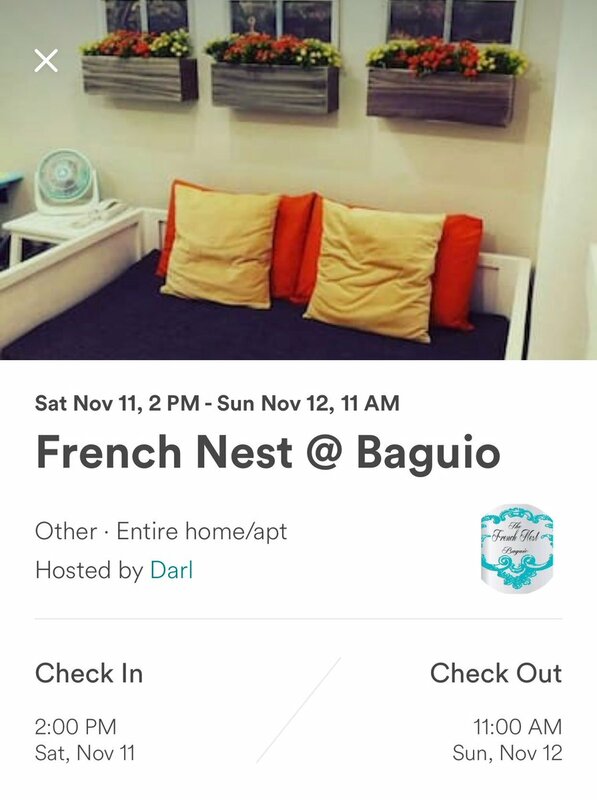 I immediately searched Airbnb for listings. The place is just right for its location and price. 1. We will be dead tired after all the trekking and caving that we did in Sagada, plus the long trip back to Baguio, so a hotel felt a lot more comfortable and convenient. 2. We need the free breakfast the next morning (which most hotels offer). 3. The hotel that I liked still has vacancy! And still within the price range that I find convincing. This was my second time at the City Center Hotel in Baguio. Now, should you book from Airbnb on your next travel? Or should you stick to a hotel? I’d say it really depends on your preferences. Here are my tips. 1. You are travelling in a group of three or more. The larger the group, the more reason that you book an apartment or an entire house via Airbnb. 2. When you need a place to stay for more than two days, this is certainly a cheaper option. You will be able to save on food because most hosts allow their guests to cook (and they actually provide pans and other kitchen utensils). 1. When you are picky like me. When you have certain expectations such as complete toiletries, free breakfast, and the usual hotel offerings. 2. If you are travelling alone! You do not need an entire apartment or house for yourself. A small hotel room will do. Out of all the hotel booking sites or apps out there, I find Agoda to be the most user-friendly. I have been their customer since 2013. Aren’t we glad that all these very convenient ways to book our accommodations these days exist? We do not need to buy local papers anymore just to see the ads, and only to find out that the ones we liked are already fully booked when we call. 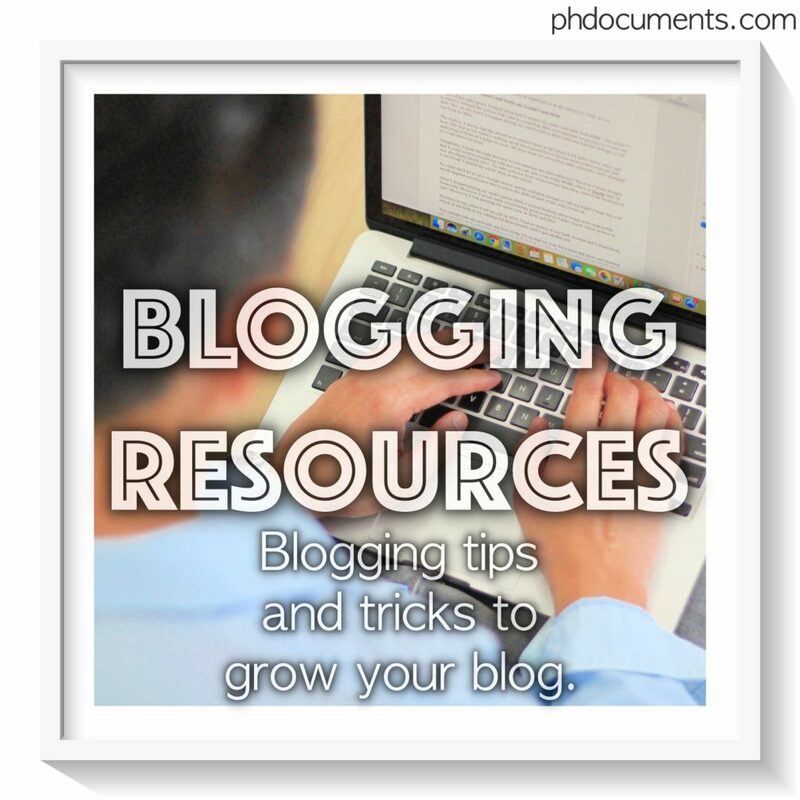 With all these apps, we can get all the information that we need in just a few clicks. 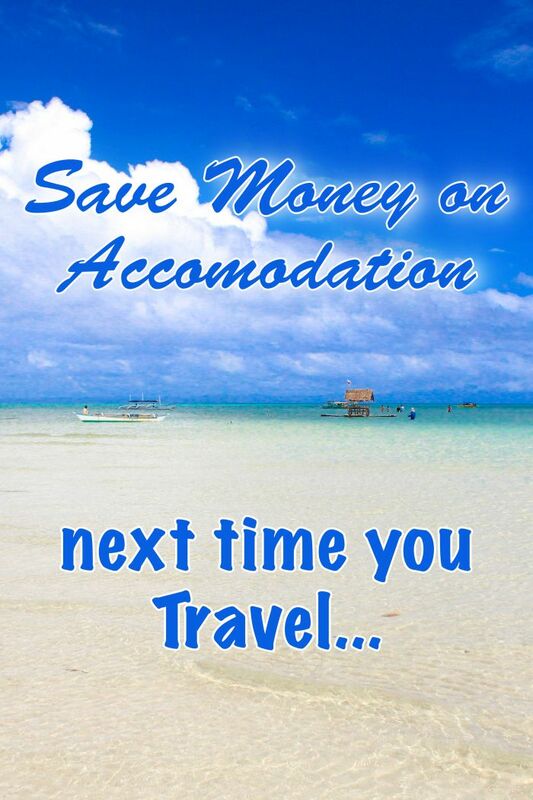 Do you have other tips to save on accommodation when travelling? If you just moved in to your newly acquired condominium unit, it would take time for you to get used to paying your monthly amortization, condo dues, and utility bills. You will be making big adjustments on your budget and the amount you are able to save every payday may get affected. 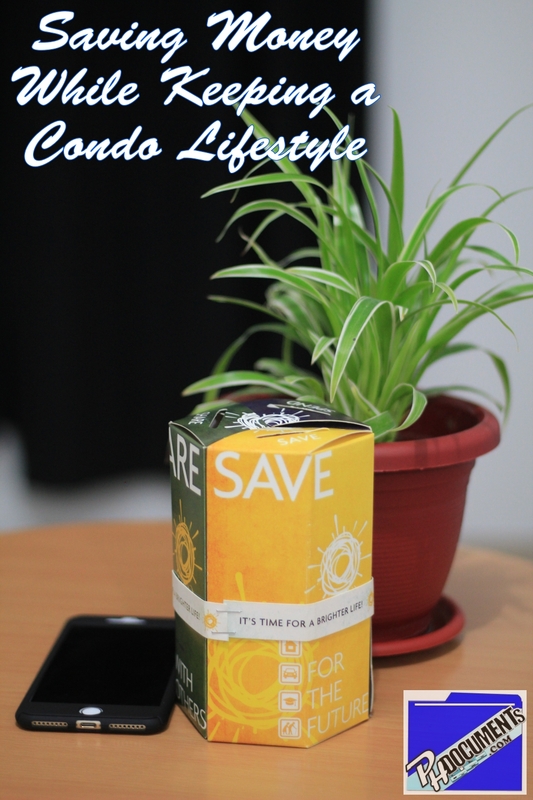 How can you still save money now that you have a condo lifestyle to sustain? In my case, everything started as a trial and error. 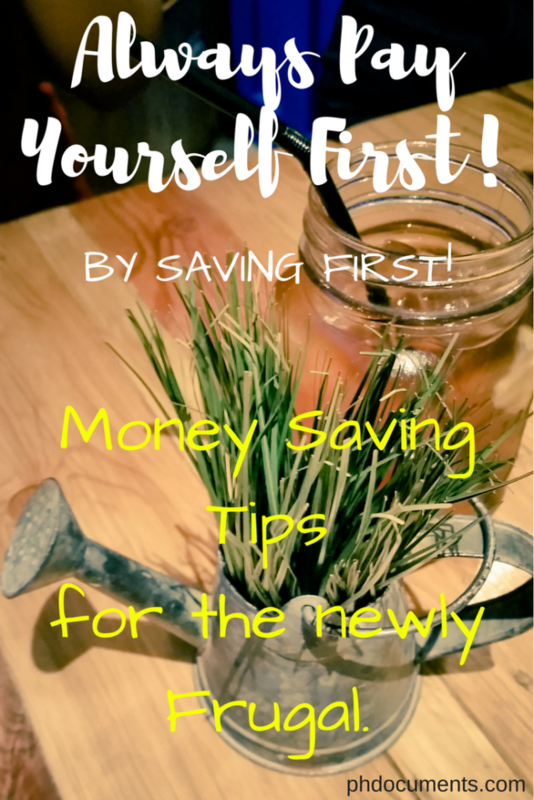 Six months into living in a condo, I found ways (and continuing to make ways) to save money. I wouldn’t want to end up failing to pay the bills or get broke. First, you will need to downgrade on a lot of things. Cut your cable subscription, and get one of those TV digital box instead. If you could totally get rid of television like what I did four years ago, that is so much better. I would say, you should only pick one between cable TV or data these days. It was an easy choice for me, I couldn’t survive a day without data. Goodbye television! Are you addicted to coffee? Buy a coffee maker and brew your own coffee. Are you a café lover like me? Create a nook in one corner of your space and enjoy your coffee at home. You just need a small table, a chair, and a tiny pot of real or plastic plant. By the window is a perfect spot. Cook your own food. And if you crave for a fast-food meal on a weekend, walk to the nearest store, absolutely no food deliveries. I think everyone would agree that cooking your own food is one of the sure ways to save money. Try to eat out only during especial occasions. I went from 16 hours of air-conditioning a day to 8-10 hours. During the rainy season, I was only using a fan for the most part of the week, and I plan to do the same this December and January. Just save the money for air-conditioning in summer when you all have the right reasons to turn the AC on. Pay your bills on time, all the time. Avoid late payment charges. For banks, the late payment fees are computed at a daily rate. Along with your electric and water bills, your condo dues should also be paid on time. No one wants to be paying for interests. Ask your building management if you could get a discount or rebate in paying your condo dues in advance. It would be awesome to be able to save a few hundreds that way. Most condominiums are located within close proximity to malls, banks, schools, and almost everything that you need. Walk. Just walk. That is exercising and saving money at the same time. While it doesn’t offer a typical residential area vibe, I personally like walking around my neighborhood on a Saturday or Sunday mornings. I also make sure that I walk when I go out to run errands, from doing my grocery, bringing my dirty clothes to the laundry or running to the bank. There are many way to save money while still enjoying a condo lifestyle. For me, I do all these things because I am saving money to furnish my place. I decided to not buy any furniture or big appliances until I have enough budget for interior construction. I haven’t really touched anything in my unit since SMDC turned it over to me at basic finish. It’s still a long way to go, and I am giving myself a year more. Hence, all these money saving strategies. 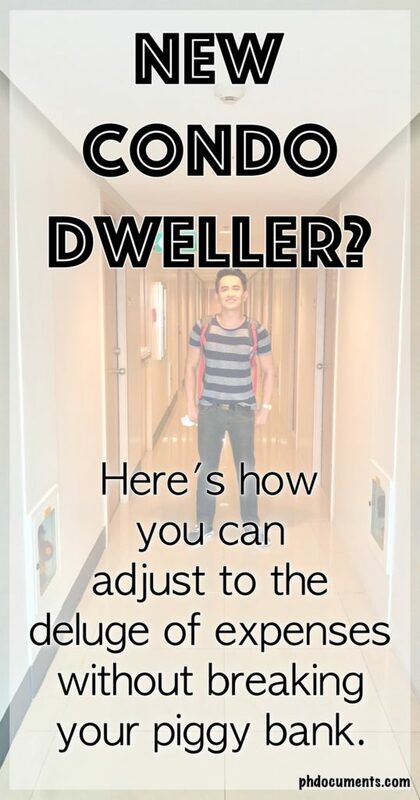 Are you also living in a condo? Did it affect your finances in any way? I was renting for more than half my life. It started in high school when my sisters and I attended school in a town three hours away from home. College was no different, I was moving from one dormitory to another wishing that I could afford an entire place for myself. 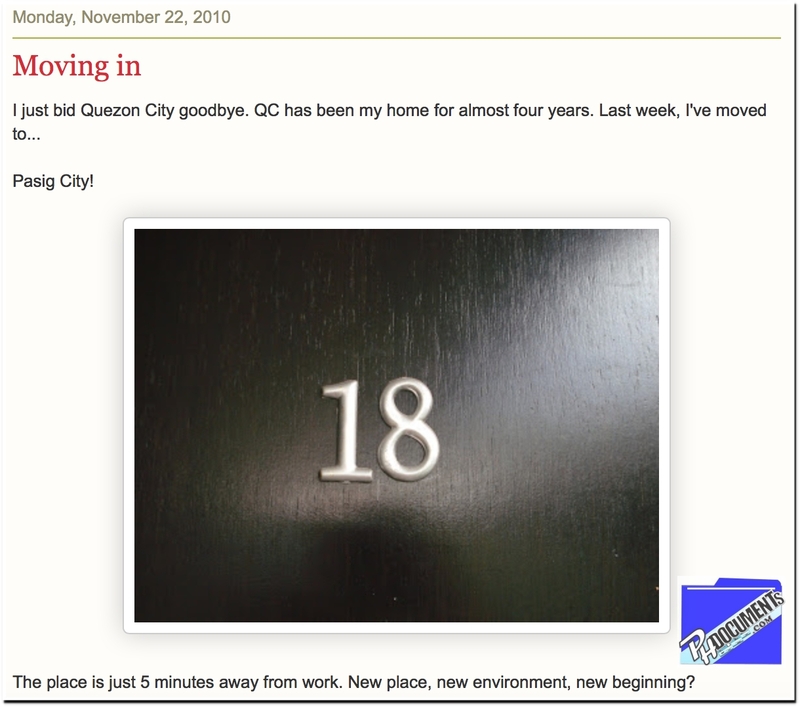 In 2007, I decided to move here in Manila and rented a small room. I upgraded to a studio unit after three years, and kept it that way for quite some time. It was not until almost ten years later that I realized that I needed to get a place of my own. A blog post that I wrote 7 years ago. 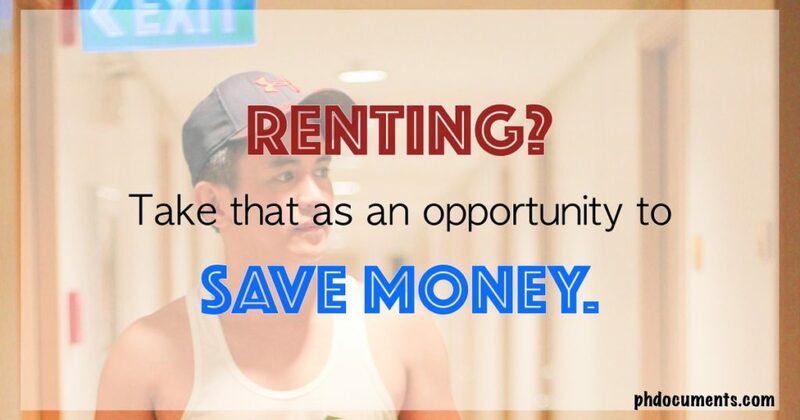 So, are you able to save while renting? It was very difficult for me back then. For ten years, I was spending almost 40% of my salary on rent alone. That is way too high from the advisable 30% maximum. If your budget for rent is more than 30% of your salary, it is time to consider looking for a cheaper place. That would be the first move that you need to do in order to save money when you are renting. Second, rent a place that is within a close proximity to where you work. You are renting anyway, so why choose to live far and incur another expense on transportation? For a few years, I was able to save a lot from living very close to our office building. It saved me time, money, and energy. If your landlord allows you to cook, take advantage of that. If not, look for a cheap place to buy food. It’s not very hard to find one around residential areas in Metro Manila. For years, I was eating fast-food almost three times a day, and I would never ever advise anyone to do the same. Not only that it is unhealthy, but it could tempt you to over spend. If you are a fast-food junkie like me, I understand the ease and comfort that McDo, Jollibee or KFC could offer, but try to ignore that! Start slowly. I was able to do it, you can too. Fourth, get rid of cable TV. I would understand if you are spending on data, but television is just a thing of the past already. Chances are, you’re sharing cable fees with your landlord and that is not practical. I’m telling you, I couldn’t live without TV back in the day and I was paying cable subscriptions since college. But when my old television stopped working four years ago, I never bothered buying a new one. I haven’t seen any show on television since then and that was one of the best decisions I ever made! Besides, anyone could watch an episode online, anytime, anywhere, and without the commercials. Lastly, share a room or apartment. This is related to number one. It is something that I couldn’t do when I was renting because I wanted the place all for myself. But if you are serious about saving money, invite someone you could split the rent and bills with. That is 50% of everything. Big savings! 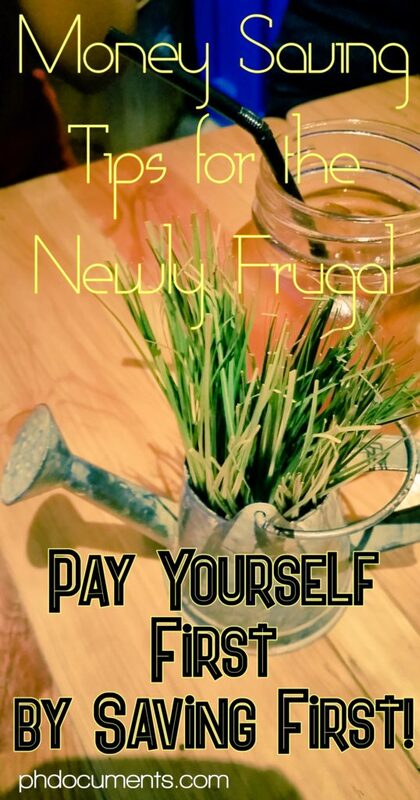 I am writing this article wishing that I followed all these money saving practices when I was still renting. I would have saved a lot if I did. I use to share stories with co-workers who were also renting and we all had the same sentiments – that saving money is impossible if you are paying rent. That is NOT TRUE! I always knew it isn’t but I just didn’t have the determination and discipline. If you are renting, the more that you should prioritize saving money. Some little sacrifices here and there could go a long way. How long have you been renting? 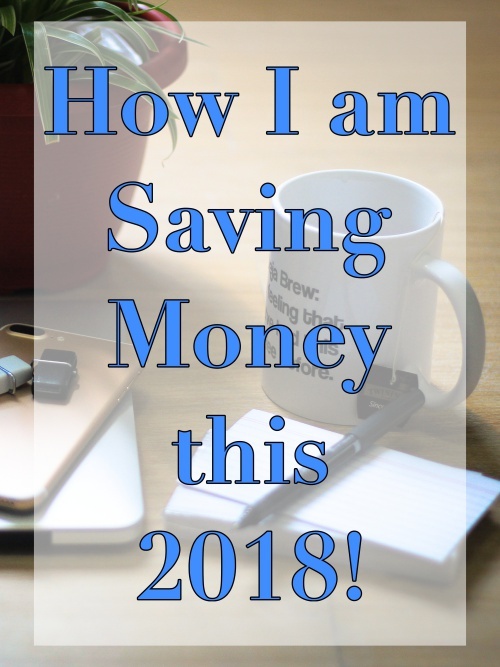 Has saving money been a challenge to you too? I am back in Manila from a three-day tour in Sagada (plus two days in Baguio). Sagada is a whole different topic deserving of its own dedicated blog post, but if I summarize the experience in one sentence – Sagada is so much better pre-That Thing Called Tadhana era. I have been there in 2011 so I could enumerate several before and after differences. 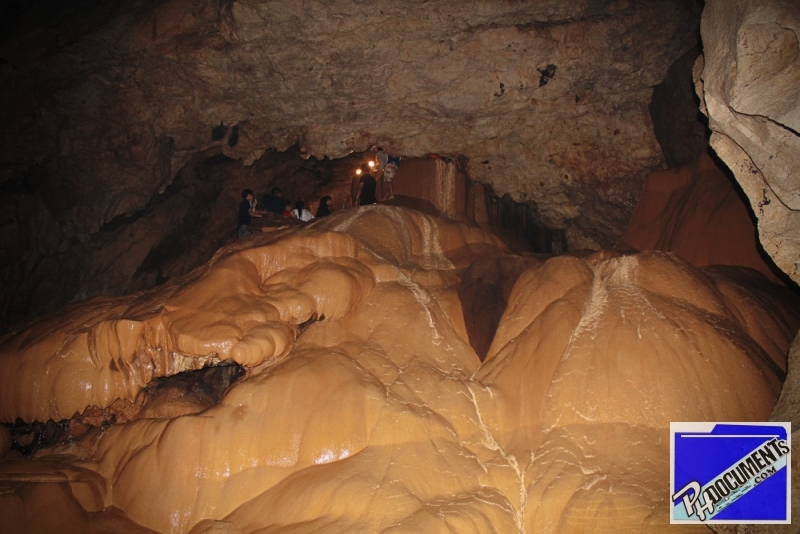 I will talk about the new Sagada in my next post. Moving on, something dawned to me during the trip – I couldn’t stop thinking about how I could save when travelling. This has never happened to me before, and it feels strange. See? When I travel, I don’t wanna skimp on anything. I actually booked our tour three weeks prior and barely over a week before I started planning my weekly money saving tips (for myself). So during the trip, I was mentally computing how much I would have saved if I didn’t resort to my comfort-over-everything philosophy. I spent a whopping Php20k for this trip (for three), while a friend is having a 6-day tour in Japan (yes, Japaannn) for only Php21k all in! I was drafting this post while sitting on a couch in a small mall café in Baguio, and at that moment, I regretted ordering the hot mocha in front of me. Not only that it is ordinary and pricey, but really, what was I thinking? I am now starting to question my poor life choices involving money. And whenever I catch myself unaware of what I am spending for, I will make sure it is documented. This series is gonna be long. On to my money saving plans, I didn’t get to put everything into practice as I was away for the most of the week. Nonetheless, I am proud to say that I managed to avoid Grab and Uber for two days in a row when I got back. I didn’t get rid of the coffee though, but I still am eating breakfast and dinner at home which is good. Overall, I think I am improving. I shall be back on track next week.